Annotation: we examined the question of morality; it is an element in life and humanity in general. And also present morality in the literary world and scientists. Our lives are making out of different sounds which create our mood. It’s like an orchestra. We are part of this creation. Who is the conductor? For me, it’s moral standards. They dictate the rules. Our goal is to understand and play music at the same pace. That morality is the things that create and preserve for centuries in our society. Theme moral consciousness is necessary nowadays. Many of us forgot about the element of morality and scorned to these. As for me, it is difficult to live without morality, because there would be no the “feet – faucets” that helped to balance in our life. Plenty of researches was conducted on a theme to morality by such scientists, as Kolberg, Makarenko, Nelson, etc. After experiments  Kolberg educed that moral proposition was changed with age. Makarenko brought practical recommendations , in relation to by ordinary behavior and realization, as necessary to behave and checkup moral education of child. Nelson understood  that even the children of three years can understand the “good” and “bad” action. children year of three can built the moral consciousness. Subject moral consciousness today is very relevant. For many of us forget the element of morality in the world and ignores it. As for me, without morals hard to live, because there would be no “stop – cranes,” this helped to balance man. Many questions debate in morality. Even Freud touched on this topic. His theory of sexuality provoked a burst of contradictions then society. He believed that we should not shun our instincts; they are contrary of the moral perfection individuality. He argued that bisexual, homosexual behavior – normal in our world. Freud said about the things that were silenced therefore his theory was revolutionary. Skinner also considered moral behavioral approach. Many experiments have been conducted on how society affects our moral precepts. A striking element of this is the moment when the soldier killed his first victim, realized the horror of his action. But he justified that did it for the sake of security. In this situation, the soldiers put on their protective mechanisms and only then begin to understand other aspects of the act. He realized the fact that this person is the same as he is, and this man also had family and children who wait to see him. Moral standards of the individual lay in childhood. 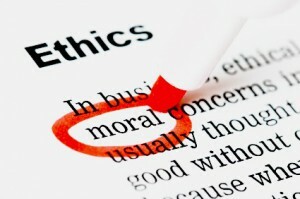 The nature of moral standards can be both positive requirements, which are a realization of certain qualities ( “Keep The Promise”, “Respect the elders” and so on) and the taboo on certain actions ( “Do not lie”, “Do not steal”, etc.) . But where there is a ban, there is desire to obey it. To go against the system, be like nonconformist. That is the question raised in Dostoevsky’s novel “Crime and Punishment”. The protagonist Raskolnikov wanted to go on offense because believed that his family ceased to sacrifice for others. His intention was to kill the lender, because after it disappears from the world of hundreds of people who laid her money will be free. Raskolnikov killed the old woman with an ax. But who gave him a right to dispose the life of another person?! He believed that he can punish others. But is it good? In the novel “Faust Mephistopheles said “: “So who are you? I am part of the force that always seeks evil, but generates good ” For someone that did Raskolnikov was good, but realy deserved this old lady for this?! In conclusion, our life is impossible without moral consciousness that dictates universal norm. But our desire to try something different sometimes captures us. Although the opposition is not always appropriate. The rules built by our ancestors for centuries. Also we should not forget that the degree of moral behavior is influence by external factors. From this is changing the values of people. For example, countries that have maintain hostilities, moral values are changing. At the forefront components that help save the lives of the individual. That is for his life people do not hesitate to kill their own kind. This self-defense instinct inherited from our ancestors. Therefore, the rules of moral consciousness play an important role. They help wake humane and respect each other. 2. J. Bech formation of personal values as components of the image of “I” pet in the process of solving problems sotsialnomoralnyh / J. Bech // Postmetodyka. – 2009. 5. Malakhov VA Ethics: lectures [teach. user] / VA Malakhov – K .: Lybed, 2002. This entry was posted in Ethical and tagged moral, morality, norms on 02/11/2016 by Mary.